NC IDEA SEED’s record-breaking 185 submissions translated to the most geographically diverse applicant pool since the program’s inception, and for the first time, more than half of the submissions (almost 60%) came from outside of the Triangle region, with one-third of North Carolina’s 100 counties represented. The program also experienced a healthy increase in applications from areas of the state that have been traditionally underrepresented, receiving 33 submissions from companies operating in rural counties as defined by The NC Rural Center. The diversity amongst the 25 semi-finalists is reflective of the overall geographic span of submissions, representing 16 different counties as a collective group. 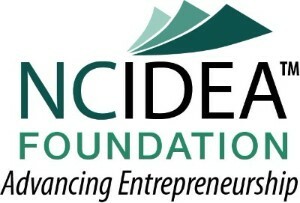 NC IDEA presents an investment crowdfunding seminar at the American Underground training classroom on the American Tobacco Campus in Durham. Mark Easley, publisher and editor of CrowdfundNC.com, will be the featured speaker and discussing how to use the new North Carolina Localstake NC investment crowdfunding platform to get funding for your startup or existing business. RSVP here. The RIoT Accelerator Program (RAP) facilitates entrepreneurship end-to-end from academic research and education through to rapid commercial growth. RAP increases the impact of traditional accelerator programming by partnering startups with an industry consortium of more than 60 companies across the IoT value chain. Industry seeds the accelerator with market-driven problems they are motivated to solve through entrepreneurial partnerships. Partners provide access to complimentary resources and seed investor capital necessary to launch new products and services to market. Learn more about eligibility for the program and apply here. Also, be sure to check out one of the upcoming information sessions. 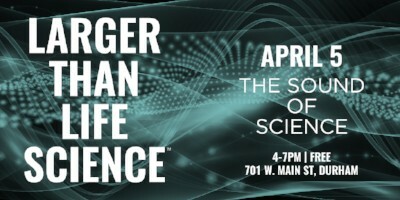 Larger Than Life Science is held in the atrium level of the newly renovated Chesterfield Building in downtown Durham from 4-7 p.m. the first Thursday of each month. Join LaunchBio for an evening of unconventional conversation! Register here. Join 1 Million Cups every Wednesday to hear pitches from local entrepreneurs and engage with others in the entrepreneurial community. Based on the notion that entrepreneurs discover solutions and network over a million cups of coffee, the Ewing Marion Kauffman Foundation developed 1 Million Cups in 2012—a free program designed to educate, engage and connect entrepreneurs with their communities. 1 Million Cups is now in more than 160 communities across the country. Learn more. These NC IDEA companies are looking to add talent to their teams. Please share with your networks. PT Wired is hiring a Full Stack Developer to maintain and enhance their functional web application to improve the outcomes of physical therapy patients. View the job description. SeaChange Technologies, Inc. is hiring a part-time mechanical technician to support operations by maintaining, troubleshooting and repairing prototype systems. View the job description.